Approximate reading time: 14 min. It has been much written and told about the image of Russians in American movies, and how precise this image correlates with external policy of the US establishment. Russia – is a geopolitical competitor, meaning that Russians in Hollywood films – are, mostly, scums, members of the Mafia, drug dealers, just enemies; if girls – then necessarily prostitutes. However, Hollywood’s director-producers “pamper” with such roles not only Russia. There is one more enemy the USA has – China. The characteristics of a new turn of geopolitical opposition are already denoted on the world’s map: territorial contradictions in the Pacific Ocean, various hot-button trade and economic contradictions. For the latest: Trump’s direct calls to Taiwan’s president, as a hint at fragility of the united China. It would be strange, if all these would not anyhow had an impact on the production of the biggest propagandist’s machine in the world. 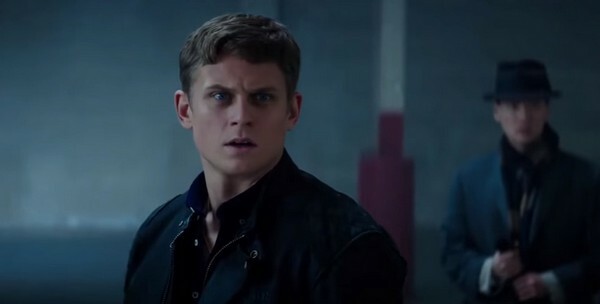 And, as the latest movies show, in the Dream Factory’s content, delivered in all countries as fast food, one can clearly distinguish contours of one more enemy of an American dream – an enemy with an Asian face. 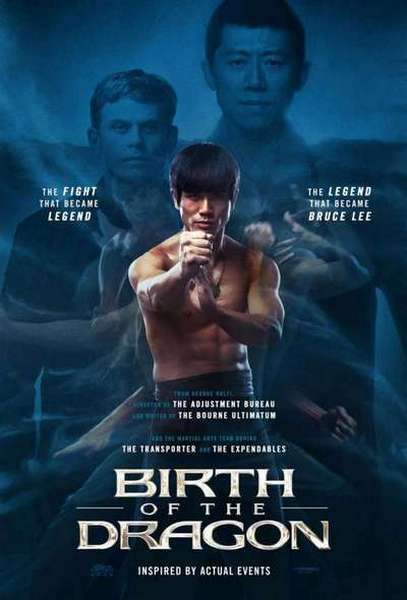 In 2016 has been released the film “Birth of the Dragon” – at the first glance, either nostalgia for old times, or an attempt to reanimate threadbare movie genre about martial arts, or an attempt to earn money of the familiar, yet a bit forgotten today image. This film tells about the times of Bruce Lee living in the USA. About how he had been creating his school of kung fu and popularizing martial arts through cinematograph. Now we are not going to go into a cold-technical analysis of how this film has been created: how much the actor Philip Ng looks like an idol for many kung fu and Wing Chun style worshippers, how well the fightings put up, and how logical the plot looks. This “movie masterpiece” is interesting to us, on the first place, with images and meanings, translated through them. For the background message’s analysis of the film, let’s pay attention on five characters, namely: Bruce Lee, Shaolin’s monastery’s Master Wong Jack Man, the American (Bruce’s Lee apprentice), the Chinese expat community’s image in the USA and the image of a Chinese girl Su Lan. Let’s investigate then a little bit more. This is an extract from Bruce’s Lee interview. Pay attention, how his speech is saturated with eastern figurativeness, how much he’s deep into himself and thirsty with self-cognition. There is also such a philosophy of “being as water”, but its somehow badly conforms with an image of self-conceited and arrogant popularizer of kung fu, who only aspires to look good on a screen and considers himself the best in martial arts. As soon as Shaolin’s Master arrives to the States, Bruce Lee literally stops sleeping at night; a one single thought becomes the reason of his insomnia: “Will he be able to win Wong Jack Man?” The situation gets worse, when one of his apprentices Steve leaves for practicing with Shaolin’s Master, since he finds him more deep and fair, as a true kung fu knowledge holder. After the two Masters’ fighting, which finally has been held, Bruce Lee as if becomes better, or at least should become better. But what do we see? It seems that his arrogance and brag can’t be eroded. He continues to behave exactly the same, disparagingly throwing out his enemies left and right. Wong Jack Man arrived to the States with one goal: to disappear. He made an unapologetic action: used a hard stroke during the demonstrational fighting with another kung fu school’s master, knocking the living daylights out of him and laying him down in front of his own apprentices. Now he has to wash away his guilt. He works as a china clipper in a restaurant. He considers that he has to lean for humility and reserve, and distance himself from any external stimulus. One better to consider these two images in tow, in this case they become more understandable and clear. A girl Su Lan dreams about happy American life. She learns English enthusiastically, reads American magazines. She studied traditional medicine in China, and arrived to America to learn the western one in a big university. But it’s not all that simple in her world. Masters in Chinese quarter of San-Francisco do not share her desires – i.e. the Chinese mafia. They prohibit her to speak English, teach English other girls, prohibit her to commutate with other Americans. Thus, a girl constantly finds herself below burden, feeling on herself all inhumanity of Chinese world, which does not make her free. Well, the Chinese mafia, as befits to mafia, does the darkest business: forces tribute from honest people-businessmen, holds girls in captivity, oversees gambling games, prostitution etc. Bruce’s Lee apprentice named Steve (the one, who leaves him for Wong) is indignant with that wildness and tyranny, which happens in China Town. He likes Su Lan a lot and feels anxiety to help he to get out this hell at whatever the cost. He gives her an English grammar textbook, encouraging her to tap into the American culture. During their date he teaches her baseball – an American game. Willing to set Su Lan free, he addresses to his shifu (teacher) Bruce Lee, but he gives him a piece of advice to forget this girl. Then he asks Wong for help, but he steers away from the problem, since he is busy with “cleanup his soul from sin”. A one Chinese master, who is somehow able to influence the situation in China quart, is busy with satisfaction of his ego and earning money, another same master is busy with making satisfaction for sins, and only the American in China Town is interested in justice. Nobody else has business for this. The rest, despite their powers and abilities, are ready to countenance with the existing order and endure the mafia, which exploits Chinese girls and robs innocent population. At bottom, the American Steve – is the only positive character in this film (which sort of is dedicated to Bruce Lee), apart from, of course, the girl Su Lan, who dreams about tapping into American culture. And thanks only to Steve’s appeals Bruce Lee and Wong Jack Man, finally, start doing something: at first fight against each other, and then smash the mafia’s lair. Steve is the one, who moves the main plot in this movie; he directs all other characters to their goal and to the outcome of the story. Who, but not an American, in a Hollywood’s plot is able to change something in a long-present and sank in wild temperaments Chinatown?! This is how the situation with this film looks like. Of course, some would say, that it is pure coincidence, and there is not well-directed propaganda here. So, here you are another example. 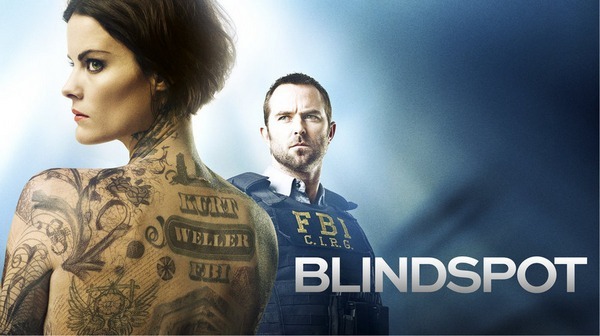 TV series “Blindspot” has been released in 2015. The plot of the series revolves around a girl, who was found in a bag in the middle of NY. She is all covered with tattoos and has completely lost her memory: does not know, who she is, where she from is and what happened to her. The tattoos are keys to crimes. Now this girl is interesting not only for police, but to FBI as well. In the very first episode of the TV series the first solved tattoo leads the girl together with FBI agent to Chinatown. According to the address, pointed out on her body, they find a small laboratory producing plastic explosive; some Chinese named Chao lived there. The tattooed girl is being pulled out of the apartment. In the corridor the girl listens, how another Chinese beats up his wife behind the wall. Before that moment all people, who lived here, did not care much about their neighbor-tyrant, but now an American is here, and she can’t stand this. Attempts to stand up for the poor Chinese woman, who is being beaten by her husband, end up with a fight. The husband-tyrant and some his friend attack the tattooed girl. In another words, Chao the terrorist – is as much as an invader for freedom of American nation, for an American world order. It is hard to imagine more evil and dangerous enemy for a simple American inhabitant, who anyhow must be plunged in reality of enmity and fear. This is it – the new image of a Chinese person in the Hollywood’s movie. And such examples occur pretty often, one just has to analyze everything he/she sees slightly more careful. And do regular reposts. Thank you! Comments are moderated before publication.